From Tuesday 31st October 2017, we will be adjusting the way in which we describe, book and price some of our services to more accurately reflect our tailored, time-based approach to hair. Our aim is to simplify our services, in order make appointments easier to book, increase transparency and most importantly improve your overall experience when visiting the salon. Last year we changed the way in which we calculated colour services to create a bespoke experience suited to the unique needs and aspirations of each guest. This year we have simplified this further by grouping together all application techniques (tint, highlights, balayage, tint & foil etc) and charging for them the same way. All Standard Colour Services will now be calculated and booked by application time (based on your Stylists hourly rate) + £30. Add-on services like a Colour Balance and extra long appointments such as Colour Corrections may be subject to added time/ charges. As always, everything is discussed and pre-agreed with your Stylist prior to your appointment. You’ll only ever be charged for the colour application time that’s been agreed, this way you will know what you are going to pay before the appointment begins. Colour services do not include Cutting or Styling Services, which will have to be booked separately. A big part of our philosophy at Tribe is a focus on making sure your hair looks its best by being as strong and healthy as possible. We’re so detirmined to help you on your journey towards beautifully healthy hair & scalp that we’ve decided to reduce the price of Conditioning Rituals that are booked in conjunction with other services. Stand alone Conditioning Rituals do not include a Styling Services which will have to be booked separately. We have new pricing for Blow Drying & Styling Services as they will now be based on the Stylists hourly rate. All prices for Blow Dry’s are pre-agreed and you will not be charged more even if your Stylist runs over. 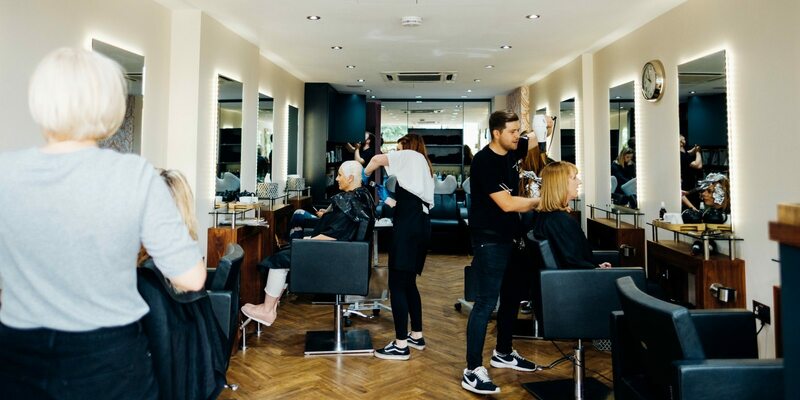 If you’d like more information on how these services may affect you and your usual services, don’t hesitate to ask either our reception team, your Stylist or email Billy directly at info [@] tribesalons.co.uk.